Q/A – Why Do Teachers Give Bad Study Advice? The study advice in this blog has kind of blown my mind. I don’t understand why no one’s ever told me this stuff. A lot of it seems kind of obvious but I’ve never had a teacher recommend it. They always give these crappy study more tips. Why do you think that is? I think this is a question best answered with a list. 1. Teachers aren’t good students. I’m sorry to say this but most teachers didn’t have the best grades in school. In fact, teaching is regularly ranked as one of the easiest college majors. That’s not to say high scoring teachers don’t exist (because they do) but most of the most skilled students went into fields other than teaching. 2. Teachers love their subject. When a teacher says to study their subject more, they’re saying what may have worked for them. Teachers select certain subjects to teach because they like those subjects. Since they like those subjects, they likely can get away with studying the subject longer to learn more. The average student doesn’t love the subject as much as the teacher. That means forcing more study time often ends up being a counterproductive waste of time. Study advice’s effectiveness depends on the student to some extent. I’ve written books and articles on studying and school for a few years now and I still feel like I’ve barely scratched the surface in this absolutely insanely complicated subject. No one can blame a teacher for picking a pointlessly simple one size fits all solution. (Sarcasm alert:) Study more! It works. It may not be efficient. In fact, in the long run it can become more and more difficult and less and less effective but when that happens teachers can repeat: STUDY MORE! Most aspects of public schooling have been static for the last 100+ years. Many of the pieces of advice provided in this blog have been discovered in the last few decades. 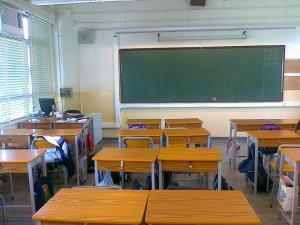 The only major advances that have ended up in schools today are white boards (instead of black boards) and computers. The vast majority of the system is the same as it’s always been. The new strategies have never had a chance to get into the system. Of course, some of the stuff I recommend doesn’t help a student learn better. Some of it just helps the student score higher while learning less. Assuming the teachers real goal is educating students of specific knowledge, they shouldn’t teach you these strategies. I teach these strategies because the system is broken. The system can’t be fixed without people realizing that. These strategies prepare you for life with things more important than pointless facts. They help you interact with the world around you in a more intelligent way. Most teachers have the best of intentions. That being said, most don’t have a clue what they’re talking about when it comes to getting better grades. Going off of the previous cmoemnt discussion, how do you feel about a very shy, introverted student attempting to get the same sort of information from a teacher as an open and outgoing one? I myself am not a very good speaker, and am very introverted to say the least. In fact, I have some major social phobias which have led me to skipping classes altogether for fear of being called on. For some people this makes sense if you are unprepared, but I typically am up on all my work to the best of my abilities. In response to your video, do you agree with how school systems function with normal test procedures? I find studying specifically for a test is rather self-defeating to actually learning something. If everything not on the test is thrown aside, and a person is really only studying for a good grade, then nothing is really be learned (and more importantly, retained). You don’t give modern school technology enough credit… heck… at least they don’t use chalkboards anymore.